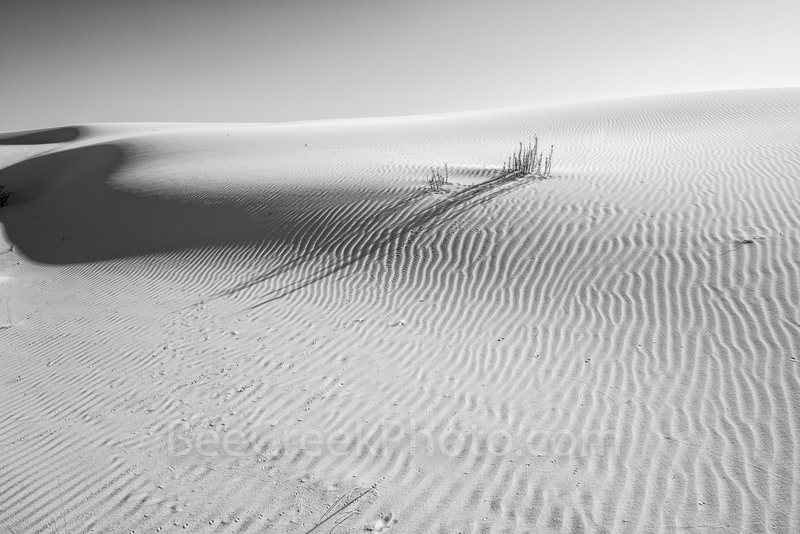 Shadows Across Dunes - We capture this image of the beautiful sand dune as the wind has created it own natural art with it shadows n black and white. The sand were pure white which creates a problem to focus on at times but managed to capture this one with some nice shadows alcross these wonderful patterns in the sand with only the print of small birds or insect that cross it path. White Sands New Mexico has some wonderful sand dunes creations as the wind creates this ripples across the dunes cause this ripple effect that creates these nice patterns at White Sand National Monument,. Photo © copyright by Bee Creek Photography - Tod Grubbs / Cynthia Hestand.